← Is Snaplage a Good Fit For Dairy Farmers in the Northeast? mid-May. This material can make excellent (and inexpensive) feed for various classes of livestock including lactating dairy cows. If you are planting rye or triticale solely as a cover crop, the increased biomass associated with timely planting will scavenge far more nitrogen than a crop that is planted late. Spring soils are typically very wet; dense stands of cover crop plants often help dry out the soils in the field so that corn can be planted sooner. Living roots growing in the soil in the early spring will increase soil quality. When the ground is covered by living cover plant material, less soil is lost from the field. Research done in Vermont and elsewhere clearly demonstrates that rye and triticale are even more sensitive to planting date than corn. This makes sense, given that fall days get progressively cooler and shorter and the plants have a short window in which to establish root systems, store energy, and physiologically prepare for a long winter. If you often have your eyes on the fields as you travel around the Northeast, you have probably observed cover crops (especially rye) that are so small going into winter that you wonder if they are even going to function as a cover crop. You are right to wonder. 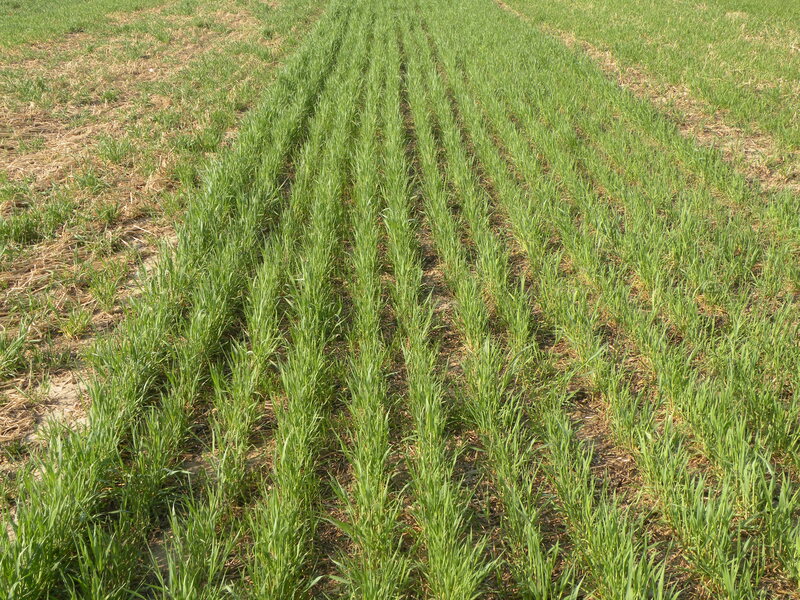 While rye almost always survives, a thin stand of weak rye plants is hardly worth having as a cover crop, much less a potential haylage crop. Given that the root mass is approximately equal to the topgrowth, the services that late-planted cover crops offer are negligible compared to those planted on time. Small rye, wheat, and triticale plants with tiny root systems tend to heave easily (on some soils more than others) during the freeze-thaw cycles of late-winter and early-spring. While heaving rarely causes whole stands of rye plants to die altogether, most farmers have all observed fields where the cover crop seems to take forever to ‘wake up.’ In these situations, the roots can be so badly damaged takes a lot of time to re-establish a functional root system to get going again. Planting dates: Long-term research to determine ideal planting dates and associated yield penalties for deviating from them has not been done. Short term research and principles extrapolated from other regions suggest that ideal planting dates should allow between 530 and 960 growing degrees (GDD, base 32) to accumulate before it is effectively too cold to accumulate growing degree days. In the St. Johnsbury, VT area, this equates to an optimal planting window of September 15 through October 5 in an average year, understanding that we have wild environmental swings away from ‘average’ in any given year. Research done by Heather Darby and the NW VT Crops Team in 2010 demonstrates that the ideal planting date for a given year can deviate from the stated average by a wide margin (Table 3). In 2010 the planting date associated with highest yields was September 6 and that there was an apparent penalty of 2,800 lb/ac of DM for planting just a week later! While significantly later planting dates would often be equivalent to a September 6 planting date, this study clearly demonstrates the importance of planting date. You are planting the crop just for a cover crop and you don’t mind sacrificing some biomass accumulation if it saves you some money. Higher seeding rates will be often needed if you plant after about October 5, if you are planting into suboptimal soil conditions, or if the seed is being broadcast. If you plan to plant a cover crop, whether you intend to harvest it or not, you should get it planted as soon as possible. Realizing that chopping corn is your top priority, it takes only a moment to make a call to order the rye/triticale seed. While triticale seed is difficult to find, rye seed is locally available. As with all haylage crops, the quality of the rye or triticale haylage will depend on the stage of maturity at harvest. 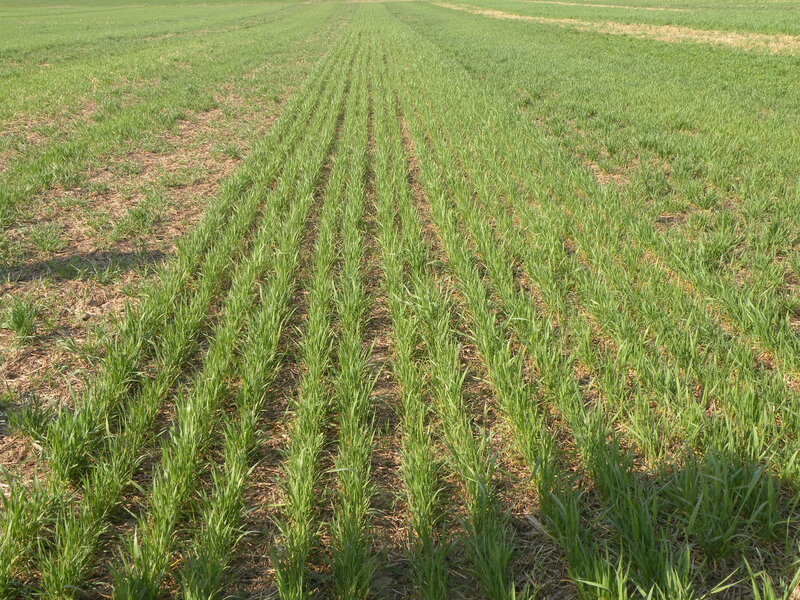 Managing Cover Crops Profitably http://www.sare.org/Learning-Center/Books/Managing-Cover-Crops-Profitably-3rd-Edition Specific information about rye can be found on page 98 of this downloadable publication. Introduce hull less barley & field peas as forages/haylage.